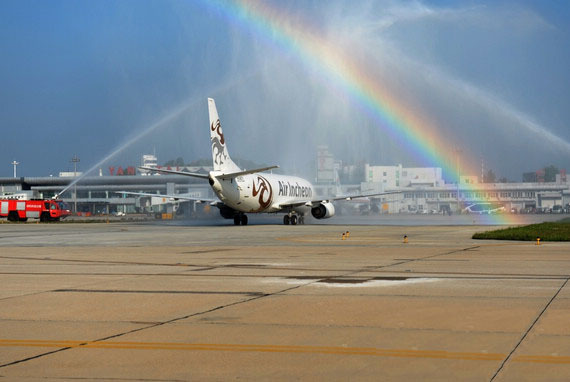 Successfully virgin launch by Air Icheon at Yantai Laishan Intrnational Airport. KWISE Logistics (formerly S.F. Systems), a China-based IFLN member, has branched out into a new area of work. 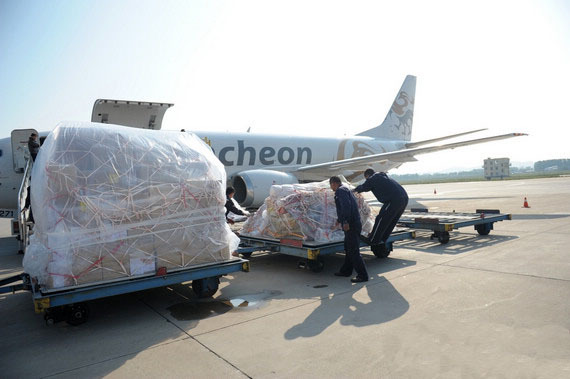 KWISE has begun representing South Korea-headquartered freighter operator Air Incheon, handling document preparation, government liaison, ground handling agreements signed with the local airport operator, aircraft movement data and other functions, as well as sales and market development in China. In short, it is acting as the carrier’s full cargo GSA in China. Loading the maindeck of an Air Incheon B737-400F. Air Incheon's inaugural landing at Yantai. 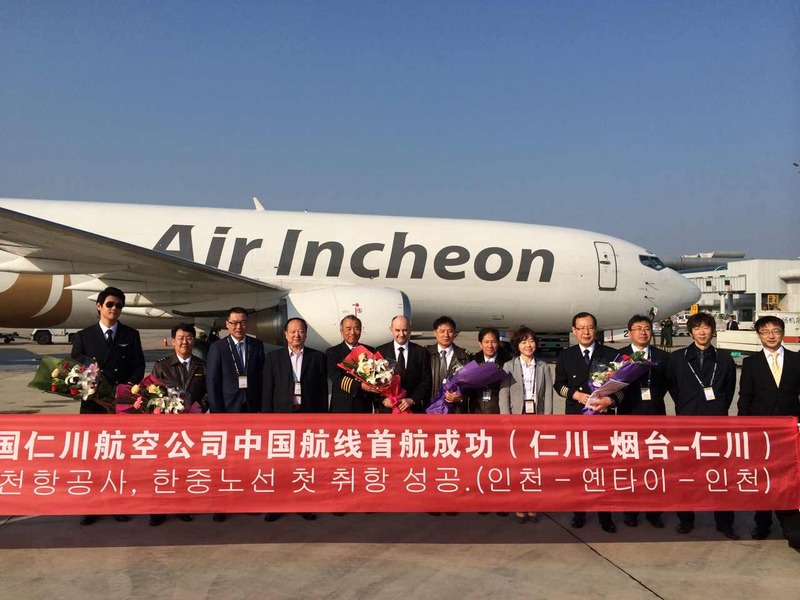 Air Incheon recently began flying a B737-400 freighter into Yantai Laishan International Airport, in Shandong Province, three times a week, but KWISE noted that this frequency will rise to five times per week starting June 10 (days 2, 3, 4, 5 and 6). As well as its Chinese connection, the carrier also serves Tokyo Narita in Japan and Yuzhno-Sakhalink in Russia, as well as its hub at Incheon in Korea. It is specializing in carrying oil and gas equipment to Yuzhno-Sakhalinsk, as well as express cargo, electronic goods, perishables and even dangerous cargo across its network. The carrier's customers include big names, such as DHL Express, LG and Foxconn. KWISE is proud of this latest step in the company's expansion and development, acting as "a new air cargo solution provider," KWISE is keen to offer a new, better type of solution to forwarders active in this area.